Mohanlal Velipadinte Pusthakam movie has released in Kerala as a part of Onam festival in the State on August 31st Thursday. Along with the complete actor Mohanlal, actor Anna Rajan, Anoop Menon, Salim Kumar, Priyanka Nair, Sarath Kumar, Arun Kurian, Shivaji Guruvayoor are played in a essential role of this comedy entertainer. According to the sources, the Velipadinte Pusthakam has screen around 200 theaters in Kerala and it will expand to 400 in India on Friday. The family entertainer has created with the story of Benny P Nayarambalam. Then his paper story captured as a digital print by Vishnu Sharma’s camera. After the cinematography of Vishnu Sharma, the editor Ranjan Abraham has added effects and trimmed few parts based on the time allocation. The background music and the songs are composed by Shaan Rahman. 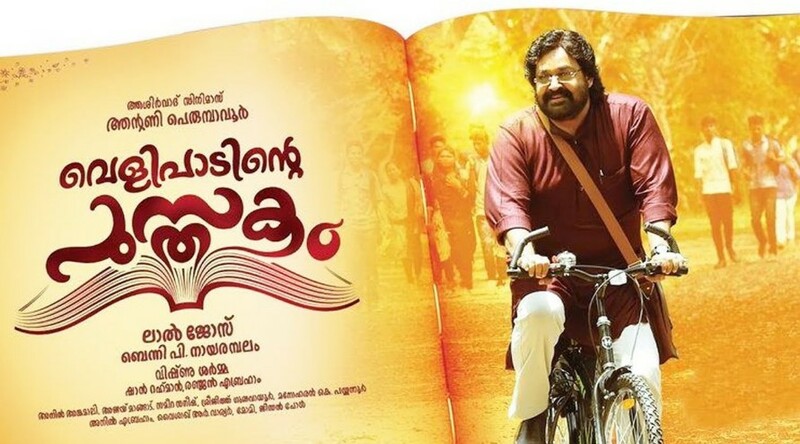 Velipadinte Pusthakam (2017) Story: Mohanlal appears in two different roles, one is as a Professor Michael Idikkula, and another one is as a Idiyan Idikkula. The Professor Michael Idikkula is the vice-principal of a college, who likes to change the institution on the relationship of students and professors. Along with the Velipadinte Pusthakam release, Pullikkaran Staraa, Adam Joan, and Nivin Pauly’s Njandukalude Nattil Oridavela also there in the list of release on Onam and Bakrid. Velipadinte Pusthakam is a good watch. Nothing extraordinary yet its entertaining. The Second half towards the climax cloud have been better imo. I liked it: by Jacob Kuriako‏. Velipadinte Pusthakam is a Good Family Entertainer! First Half 3.5/5. Second Half 2.5. Overall, One Time Watch. Mohanlal, Salim Kumar, Chemban Vinod -the best. An Above Average Movie: by Aravind. Velipadinte Pusthakam. Decent family entertainer. Many goose bump moments and acting oriented scenes are there. Bit lengthy too: 3/5 by Arjun. From the Audience and critics review, Mohanlal’s Velipadinte Pusthakam scored 3 out of 5 ratings.